Once again, this is YOUR chance to see YOUR character featuring in mah fanfic! just as if with Terrace High, you get to fill 10 slots (ten) made each of one human and his/her animal partner! No more than one team per contributor, remember! Their role? Security Scouting Force for the First National Energies Research Labs, where the Prometheus Fusion Nuclear Reactor is hosted. My own slot, the 11th, is reserved to the head of security. Submission type of characters: like for one of our RPs, but without the SPECIALs. Just put in as much data as possible. And remember: you have until episode 7 to submit your awesome character. Last edited by RandomGeekNamedBrent on Tue Jan 15, 2013 7:13 pm, edited 1 time in total. -Weight/body build: Tall and lean by virtue of his Greyhound ancestry. -Fur: A shaggy black coat, grayed by stress around his muzzle and patches on his chest. -A no nonsense type of guy, lacks patience with rookies and the like. -Almost never smiles, and when he does nothing good comes of it. -"Games are for pups," unless it involves guns, then it's a sport. -Passionate about "justice" and will deliver it anyway he sees fit. -Rather high strung, and never sees a moment to relax. Archer was born in a shelter located in Kingsbury, Nevada. Though at the time he was not known as Archer, his shelter name was "Tahoe," after the famous lake not but a few miles to the east of Kingsbury. He only knew his mother, and even then not for long. She was adopted shortly after she had given birth. His father was nonexistent, more than likely a street dog his mother had met. His first owners were a few neophyte hunters looking for a cheap alternative to the expensive purebred hunting dogs out there. Archer was their first choice. Being a puppy and easy to train was the major appeal. Not to mention he looked something of a hunting dog. Unfortunately the bumbling hunters learned the hard way that he was almost entirely useless as a hunting dog. His sense of smell was far too inadequate for tracking, due in part to his Greyhound heritage, and physically he was still just a puppy. The first hunting trip he went on was almost hopeless. Until his talent was discovered. For what he lacked in smell, he made up with uncannily keen eyesight and deadly accuracy with anything he could get his hands on. The hunters that adopted him noticed one day on the lake that he was skipping rocks. However the rocks would skip so far out they could probably break a few records. Better yet, the rock would always strike the same piece of driftwood in the water. Every single time. Curious, they asked him to use one of those rocks to peg a few random targets. They had set up a few cans on a stump and let him loose. It was a bullseye each time. They set him further away from the stump, still did not miss once. Finally they let him loose on a squirrel perched on a branch a good 30 yards away. Not only did the rock knock the squirrel from the tree, it had actually killed it. Much to the horror of poor little Archer. From then on they let Archer use the guns, though they were much too loud and the kick was much too powerful on the poor pup. He instead adopted the bow as his weapon of choice out there when hunting. Which garnered him his new name "Archer." The two hunters, realizing that they were not going anywhere doing all of that hunting stuff. Put the pup into as many competitions as they could squander. Raking in prize money left and right with each first place victory. The pup grew up to be a rather famous dog (or infamous, depends who you are asking). Tales of him spread half way across that side of the country. Some say that once, a few unscrupulous people had modified the rifle he was using in a competition. The gun could shoot but the sights were off. The dog still managed to win first place. However his adoptive owners soon became greedy. Being Nevada boys, they had quick access to a little place called Las Vegas. Sin city itself. What fortune Archer had gained, was readily spent away in gambling debts. This did not please the dog, who did not get to see a penny of the fortune he was earning. One day he had enough and disowned his owners. He did so at the very next competition, in front of everyone. He lost on purpose. Without any money to pay their debts, his owners...disappeared. Meanwhile Archer hit the road and continued his legendary sharpshooting streak. Of course, he now had personal questions. Was he just a circus act? A silly dog that can do a neat trick? What was his purpose? Could he help people? Then one day he was approached by a man named Jericho Blaine. Blaine was a well-to-do man that carried himself in such a way that oozed status and money. How he got his fortune? Simple, he owned an organization that specialized in "guns-for-hire." Turns out a dog with an uncanny sharpshooting ability had made him a lucrative investment for such a business. His first question before joining, knowing full well what a gun-for-hire did, was "who am I offing?" He wanted to know if he was getting rid of the bad guys. Blaine simply shrugged and nodded, the man would say anything to get the dog to accept the offer. Archer signed a contract and from that point on worked as a Mercenary for pay. Most of his grown dog life was spent offing some of the worst people in the world. But soon he grew weary of that too. Realizing it was just him doing the same trick. Years of working that profession only showed him that more would jump up in their place. He did not renew his contract soon thereafter and took up small security jobs across the country. Hoping someday to find his purpose. -His prized possession is a compound bow with his name engraved in it. He takes it everywhere with him. -Still on friendly terms with his "owner" Jericho Blaine. They still live with each other. -Does not like gambling, and holds a special kind of hate in his heart for those who pursue it. Strengths: His eyesight and accuracy are like none other. Thanks to his years as a trained hitman (hitdog?) he is in peak physical condition. Weaknesses: Anti-social and quick to judge. Makes him very hard to approach. -Name: Edward "Eddie" James Pope Jr.
-Tries very hard to seem calm and collected but easily falls into his hot blooded habits. -A little on the lazy side, especially if it involves manual labor. -Devoted to his family an their "organization," never say anything bad about them while he's there. -"The ends justify the means." Eddy is a firm believer in this philosophy. -A bit of a thrill seeker, has hurt himself trying to jump ramps with his Uncle's car. Eddie had a very lavish upbringing, born to parents Louisa and Edward Pope Sr. His mother was a school-teacher, his father ran a bank by day, and by night was an underground crime lord. Which played into the lavish upbringing part of his life. Cars, parties, women, whatever hit electronic gadget happened to be on the market, he got it. As the middle child, sitting between two older brothers and a younger brother, and two younger sisters, he had the best of both worlds. He got to boss around the kids and got to take all of the older kids things as they grew up and left the house. In his earlier years he was also close to his Uncle Blaine. Another man with a rather unscrupulous business. He spent summers over at Uncle Blaine's countryside residence, and though a little more strict on what he let the kid do, he was the "cool uncle." He had guns, a few dogs, and knew a thing or two about fighting. A few skills he willingly showed young Eddie. Life was kind to Eddie. Though many would claim he did not deserve it. On the eve of his 20th birthday, things would change for the worst. The celebration was everything he could have ever wanted, and he had finally hit adulthood. At least the first leg of adulthood. The food was great, the party was filled with interesting people and family from all over attended. However a waiter made his way through the party, lured Edward Sr. to a vacant guest room, and shot him dead. The party was loud, the gun was silenced. No one heard. The assassin escaped and the body was discovered later that night, when it was time for dinner. Edward's elder brother inherited the family business, but he did not want it. The next eldest took the business and ran with it. Unfortunately the kid was an even more extravagant spender than his dear old dad. The family fortune was robbed from them due to a few credit scandals and one too many sports cars. Edward went from prince to pauper within an entire year. Grappling with depression, he spent most nights away from home. Getting into trouble out on the streets, robbing stores to help pay for his family's debts. Then Uncle Blaine got a hold of him. Being a entrepreneur, he knew how easily it was to extort someone with nothing to lose. He took the young man under his wing and began to educate him further into his "business." A few weeks after his 21st birthday he was indoctrinated into the business. He spent most of his time there working as a driver for hitmen. Allowing him to vent his frustrations and earn a quick buck or two. By his 22nd birthday, he had become quite adept at his job. But he wanted more. He wanted to find the man who took down his father. Blaine told him to drop his vendetta's and fast, before they consumed him, but the words of his elder fell on deaf ears. Which seriously worried his uncle. For more reasons than one. Blaine's organization had killed Edward Sr. Young Eddie could never know this, for obvious reasons. So Blaine needed some way to keep the boy busy. To get him out of the way. He did not want him killed, Eddie was an asset. But he could not be snooping around in his business. Then a contract was put on his desk. Security officials needed hiring and there was a special branch of his organization that operated security. It required an animal and handler combo, and at the moment he had a dog that had recently quit his other contracts and someone who could act as the owner. A very nice offer had been just dropped in his lap, as if from heaven. He convinced Eddie to sign up, to see it as a break from life. The paycheck was also quite fetching. Completing this job would bring him so much closer to paying off his family debts. He would have been stupid not to sign up. -Knows how to operate vehicles ranging from sports cars, to speedboats, to helicopters. Was a getaway driver at one point, did not matter what vehicle. -A closet fan of the best selling Pride Lands books, he would kill the man who found out. -Trained in hand-to-hand combat and is quite handy with smaller firearms. Strengths: Passionate about his fun jobs, in essence anything that allows him to be intimidating. He can be a smooth talker and is rather charismatic. As any good business man should be. Weaknesses: Quick to anger and impatient when busy. Doesn't know when to back down and will gladly dive into a scuffle he knows he will lose. Hooray it is finally done! Last edited by Honorable Intentions on Wed Jan 16, 2013 6:14 pm, edited 3 times in total. I so need to get to work on this. But good God this will take forever! First of all i'm going to start working on this right now. Second does this mean that you have to create a description/background for both the animal and human separately? As a reader of Housepets! for quite some time, I've been meaning to join the forum for a while. Despite having shades of an idea in my head for a story, the fact remains that 1)I'm not great at writing fiction, and more importantly 2)I simply don't have enough time right now to write anything. 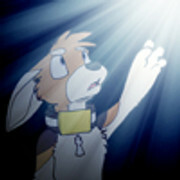 However, maybe this contest will let me introduce a character, and give me some incentive to join in these forums. Also, I tried to strike a balance between detail and quick summary, sorry if this becomes either a wall of text or a too-short summary. Chance spent his early years in Afganistan as the pet of a diplomat. Unfortunately, while Chance was still a kitten, the car he was traveling in was hit by an IED, and his owner was killed. Chance managed to survive and was eventually rescued by a member of a feral independence movement. As the years passed, Chance learned to excel at both combat and stealth, often sneaking into nearby military bases to gather much needed supplies. During one such raid gone bad, Chance met his current owner. The man saved Chance from certain death, and events conspired to bring both cat and human back to the United States. Upon moving to Babylon Gardens, Chance joined the local police force in order to maintain some of the action that had been his life up to that point. Now, with the opening of the new fusion reactor, Chance feels that something is amiss. Perhaps a chance to join the team will help dispel some of those doubts - or at least figure out what is really going on. Chance is eager to make allies when placed on a team, but he tries to keep his distance emotionally. His experiences of violence mean that he is afraid of being trapped and helpless. As such, Chance tends to analyze those around him in search of any possible weakness. This can be unerving to others, although given the benefit of the doubt, Chance can be a loyal companion. Due to his status as a cat, Chance feels the need to prove himself to his canine peers. This occassionally results in a lack of restraint, though such moments are usually fleeting. As most of his life has been spent among dogs, Chance often feels more comfortable with dogs than cats. Due to his small size compared to most opponents, Chance usually relies on stealth and surprise during combat. For this reason, although trained in the use of firearms, Chance prefers to fight using improvised weaponry - most of his enemies underestimate him until it is too late. In close combat, his speed usually allows him to dodge attacks and quickly find an opening. Chance has made several useful contacts over the years, and therefore he occasionally receives access to military and peacekeeping tools that have not yet reached the common market (although financial and legal issues often prevent him from making full use of this fact). The only tools Chance always carries include a set of lockpicks in his collar and a tracking device / communicator in his watch. Clayton was a member of the US special forces, "was" being the important word. During his time overseas, Clayton happened to be on base when a small group of ferals was caught stealing weapons and food. Though most of the ferals attempted to surrender, some of the soldiers opened fire. Clayton was able to save a certain cat, but none of the other animals managed to escape. In the aftermath, no punishment was given to the soldiers involved. Disillusioned by this apparent lack of empathy, Clayton left the army as soon as possible, moving to Babylon Gardens in the hope of finding a more animal friendly environment. Since leaving the army, Clayton has worked for some minor security firms, but nothing really appealed to his skill set until now. In applying for the job at the new reactor, Clayton hopes for an opportunity to bond with the cat he rescued, while finally putting his skills to good use. Clayton is trained to use most weapons, and excels at short range combat. Since meeting Chance, Clayton usually plays a supporting role, providing cover or distractions while Chance completes the objective. Since leaving the army, Clayton does not have access to the latest weapons or gadgets, but makes sure to spend time training for the chance to use his skills again. *I don't know if there is a commonly accepted age comparison between pets and humans, I picture Chance being compareable to someone in their mid-thirties. slots remaining: -7, because CerberusX asked me to reserve a slot on the oath he'll have one character ready. Let's hope Musclecar and Brent can join us soon, guys! I'd love to see their contribution! Oh, and it would be appreciated if your contributions could see BOTH animal and human listed together. Honorable, if you can please work on a human partner for your awesome character! can I get a reserved slot on the promise that I have a half written character sheet open in another tab right now? ignore that request cause here they are. She has bright blue eyes. She has a lithe build, and she's fairly tall, only slightly shorter than Fido. She's highly personable and likes to make friends, but she doesn't like to talk about herself much. Or rather, she doesn't really know how. she's been working undercover jobs so long she has a little trouble just being herself. Not to mention that after what happened with Kaito on her last mission, she's afraid of her feelings being used against her. -taught herself to speak fluent Japanese online before joining the CIA. -was the top Spy dog for the CIA for 4 years. -she made a careless mistake on her last mission that almost got Sarah killed. -CIA decided she could be more useful (and less of a liability) helping to guard the FNERL, so they retired her. -still keeps in touch with her real owners by phone. Iris lived a rather uneventful life before she joined the CIA canine training course at the age of 4. After graduating 2 years later, she was assigned to work and live with Sarah. she's trained in a special form of martial arts developed by the CIA to better utilize an animals unique skills and attributes, such as the tail, to neutralize a threat, whether armed or unarmed. black hair, African-American, shoulder length hair in a pony-tail. hazel eyes, slim and about 6 feet tall. While on duty, she's highly professional, not letting anything distract her from her work, but once her job is done, she has no trouble relaxing. She's very personable, or at least she knows how to act the part. her only real hobbies are guns and martial arts. -she's very skilled with small firearms. -got shot on her last mission with the CIA. she's fully recovered now except for the scar on her shoulder. She doesn't like that Iris blames herself. Sarah spent a few years after college with the NYPD, achieving the rank of Detective by the time she turned 26. after 2 years working as a detective, she decided she wanted more excitement, so she resigned and moved to Virginia to join the CIA. After her training was done 2 years later, she was assigned to work and live with Iris from their canine division to gather intelligence abroad. Sarah and Iris grew close over the 4 years they worked for the CIA, their relationship as strong as that between any pet and owner. While Sarah isn't technically Iris's owner, Iris has taken to calling her "Mom" as that was their relationship for most of their undercover work. Of course, while working while not undercover, she calls her Sarah out of professional respect. On their last mission with the CIA, Iris developed feelings for a Shikoku named Kaito, who turned out to be a Japanese spy. When the time came that they had to confront their target, Iris was shocked to find out it was the dog she thought she knew. He pointed a gun at Sarah, and Iris was too distraught to disarm him. Sarah ended up getting shot in the shoulder in the ensuing firefight (Sarah was using CIA issue tranq rounds, Kaito had live bullets). a few inches over and it would have hit her heart. and Kaito got away. They are both very skilled at tracking, Iris by smell and Sarah by finding clues left behind. Last edited by RandomGeekNamedBrent on Fri Feb 15, 2013 6:47 am, edited 6 times in total. Aaand thanks to Brent, the free slots are down to 6! Last edited by valerio on Wed Jan 16, 2013 10:33 am, edited 1 time in total. I've got ideas and stories flying around my head just waiting to be typed, but sadly im at school and wont get home to type till close to 7. So if you could, can you save a slot for me? And this leaves the free slots to 5! May I ask for reservation please? My creation will have to wait till at least four more OCs are introduced. Hair: Long average dark. Neatly combed. - Healthy exercises. Wrestling. Golf. Gun Safety. Netflix. Obedience school. S.W.A.T caps. Hand-to-Hand combat, self-trained take-down artist that focuses on Wrestling such as clotheslines and arm/leg locks. Knows how to use a Browning HP and is a good mid-range shooter. - Fighting by throwing heavy objects. (Tires, barrels, etc.). Wrestling. Working out. Being trained by her master. Marvel Comics. - Being mistaken for a boy. knives, bats and pipes. Hats. Hand-To-Hand combat, focused on leg sweeps and disarming. Also trained on how to use various pistols for disarming and flash bangs. Has also trained herself to be vastly aware of indoor enviroments and practiced throwing heavy objects with both hands. Cathy grew up as a enthusiastic movie watcher and trainer since she was 8. Four years ago, before moving to Babylon Garden, Cathy encountered a lost dog on the way to the airport with no tag. Deciding to take it for the ride to the friendly town they were moving to, Cathy decided to raise her newfound dog in the same way she was raised, and initially named her "Andrew" on the mistake that she was a male , but kept "Andrew" as a middle name out of pride for what her master named her. The two since then have been working out for four years in hopes of training others and enjoyed the luxury years, planning on becoming obedience teachers together. They got their first job opportunity to test out their field work this week. Last edited by GameCobra on Sat Jan 19, 2013 10:08 pm, edited 2 times in total. Black, brown, and tan fur mixed together all over his body. With a white patch that covers most of the left half his head. He has a dark blue collar. The tag looks like a small stack of pancakes. One eye is a dark blue as well. The other a mixed white/gray color. Flare was born into this world with his left eye blind, and his left ear deaf. With these minor disabilities, his smell increased 3 fold. His puppy days were spent in the home of a police officer and Flare's father. His name comes from how when he was still a puppy he found a road flare on a table then lit it, all by himself. At a age 2 he went off to the police academy, months later he passed in the top 2% of his class. But he didn't want to be a police dog. He left his home to join the marines dog force, before he even turned 3 years old. He not only endured the grueling training course but he excelled in it. Most of the officers there thought he wouldn't pass due to his left side disability. But they were wrong, he passed the training at the top of his class. Now skilled in weapon and hand to hand combat he was sent out into action. He was paired with a younger man named Fredrick Nelson, the two were to infiltrate the enemy's base and capture their leader for their first mission. All went smoothly until the commander woke up from his drug induced sleep and tried to escape his bonds. The man rolled out of their grip and slammed into a tent. Waking the men inside upon impact. Quickly the men come out of the tent to find the commander but nothing else. Once released the commander told his men to search the entire place for his captors. Flare and Fredrick were trapped under a truck while the enemy forces ran all about. They had to escape, without any violence. Flare and Fredrick started to sneak around the camp, until a man saw them. They were seen, sprinting now for the fence. Flare stopped all of a sudden grabbing Fredrick's arm as well. Once stopped Fredrick noticed the land mines ahead of them, moving around them without incident. They escaped with their lives. Four more years those two remained paired while on many missions. They were relieved from duty and sent back home at the end of the fourth year. The two stayed together upon getting back to the states. But they couldn't just sit around and do nothing. Flare and Fredrick worked as a bomb squad members for a year and a half in the FBI, until they received an invite to come work at the new First National Energies Research Lab in River Ridge. Flare is a rather quiet person, but can still be very loud when needed. Tends to not trust someone until he has sniffed them completely. Relies on his smell more than his eyesight, or hearing. Very friendly with people he knows, and aggressive with anyone who is a potential threat. -He has a special skill concerning his smell. Flare can take one whiff of a person's breath and tell them exactly what was the last meal the person had. -He carries a medium sized knife on his side at all times that he uses for explosive defusing, and protection. -Hates when people don't trust him, because of his minor disabilities. He is a muscled young fellow, that is lean. Tanned skin, brown hair, green eyes. He was very technology, and explosive addicted while young. He blew up action figures, toys, junk, and once a small shed. With the many devices he could create out of everyday objects. He used these skills in the military as a specialist in explosives mainly. Him and Flare went on missions where they had to deal with road side bombs, homemade explosives, and C4s. Once out of the military he got a job at the FBI detecting bombs for them, Flare came too. He grew tired of the boring days working there and looked for somewhere more pet friendly just for Flare. Finding out about the new fusion reactor security needs, he tasked himself with protecting this new place from any explosive threat. I made a couple edits to my character sheet for my human. not much, changed her appearance and added a skill I forgot to mention. Lance is a Bullador. He lived a tough life in his puppyhood, but it only served to make him stronger. (And a little cold) He never got to know his parents or other family, and although he may not show it, he does care for those around him like they were family. As a puppy, Lance was immediately separated from his mother and while not abused, was made to live a hard life in hopes to turn him into the mother of all guard dogs at a farm. The plan backfired as he ran away when he was 3, eventually ending up in a shelter. He was quickly adopted by Ronald. Lance quickly learned basic fighting techniques and gained basic knowledge on how to use various firearms. However, 3 months before he was scheduled to return home, Ronald was killed while on a mission. As it happens, it was the only mission that Lance had not gone with Ronald. Lance was immediately shipped back home and put in a shelter since Ronald had no immediate family to take care of him. In the years after being adopted again, Lance moved around from job to job, caretaker to caretaker. He usually ended up working in police stations or with private detectives, but never ended up staying for more than a few months, maybe a year if he was lucky, before moving along. He usually left because he caused tension with others. Even if he did end up caring for them like his family. His current position as a member of the Security Scouting Force for the First National Energies Research Labs is just another job to him right now. He knows that he will probably cause some kind of conflict in the force and have to move on before things get really bad. -Does care for those he works with like family. Unfortunately, this usually leads to him getting involved in their personal lives, which most of the time is what causes the tension/conflict. -Jack of all trades. He isn't an expert in anything, but can do it all. While he may not be the first (Or best) choice to disarm a bomb, he's great to have around in case whoever was first choice becomes unable to do their duty. 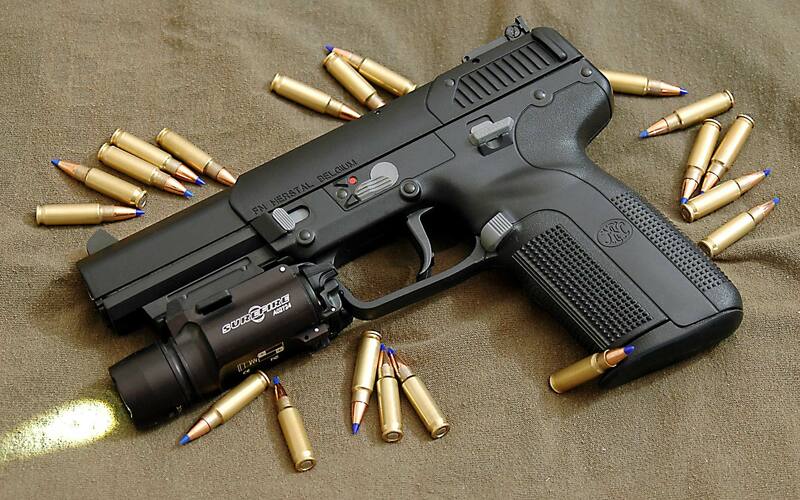 -Is familiar with most modern guns and can operate them. -Doesn't have anything against cats. He isn't a cat lover (Hasn't ever been in love with a dog either for that matter. He moved around too much for that), and doesn't care what people think of him. Appearance: Average height. Looks a little on the skinny side when in uniform, but has enough muscle to go at it with the average criminal and win. Doesn't look a day over 18. Brown, medium length hair. Bluish-greenish eyes. Jake is the youngest (Unless someone makes another character sheet countering this fact) human on the team, and by far the one who has the most growing up to do. It's not that he's immature, just doesn't have enough real world experience and constantly asks questions. Most of which are very simple to the more experienced members of the force. While he has the most to learn by far, he is very knowledgeable when it comes to the weak points of people and pets. He had been working to become a member of the police force since he graduated High School two years ago, but never imagined he would be chosen for the Security Scouting Force for the First National Energies Research Labs. No one really knows how he was chosen, but many suspect it was just the simple fact that he had been caring for Lance at the time and the force just wanted the dog. What many don't know is that the force wanted both of them. Lance for obvious reasons, and Jake for the fact he had the desire to become better and would work hard at any goal set in front of him. He may not be the best now, but there was no question in that in five years he would be an indispensable part of the team. Jake just happened to be caring for Lance in Babylon Gardens for the past few months. Lance was given to him by another police force from a nearby town (He had been in contact with them trying to realize his dream of becoming a cop). The two didn't really become friends or do anything special to draw attention to themselves as candidates for the security force. It just so happened the force wanted Lance, and when they saw a kid with as much potential as Jake was his current owner, they couldn't pass up giving them a job offer. -Works hard at whatever he does. But being so young, he doesn't usually know what he's doing. -His youth and inexperience tend to get on people's nerves. Many feel that hiring him was a mistake and it was only done to get Lance. -Doesn't have a deep connection with Lance unlike most other people in the force. He wants to, but Lance tends to shut him out. -Dream of becoming a cop ended when he was hired by the force. I mean, come on. The force is so much better than being just a cop. Last edited by JeffCvt on Fri Feb 15, 2013 10:58 am, edited 2 times in total. Personality: Kind, reaches out to the people sitting off to the sides. Neat (almost meticulously so), will tidy up to relieve stress or boredom. Patient, calmly waits for the "opportune moment". She has a warm, outgoing personality to all people she meets and loves to smile, but she doesn't allow many deep relationships and can settle into an almost cold tranquility (with a light smile on her face, but not in her eyes) as protection from darker emotions and when people try to get too close too fast. When she is patiently waiting for something, her personality is more cool (where the smile actually reaches her eyes) and she sways lightly to some internal rhythm. Likes: Books, good company, snow, books, animals, target practice, books, keeping things tidy, books, and did I mention books? Languages: Fluent in Swedish, English, German and Swahili. Knows decent Russian and French. Has been trying Japanese (mostly without success) for some time. Un-Skills: Anything involving quick decision making. She tends to overthink things. Her father is a lawyer who made decent money, and her mother stayed home to raise her. They both wanted her to have every opportunity in life, so they got her interested in books at an early age. She hasn't stopped reading since. Elsa did very well in primary school; so when she applied for secondary school in 1996, her parents gave her a German Shepherd named Heinz (age: 7). Since he had actually come from Germany the year before, Heinz was able to teach her German (adding to her Swedish and English). Thus began a life-long interest in languages. Heinz was very shy and insecure when he first arrived and had high anxiety about messing up and being a failure, which had ended up making things worse for him all his life. Elsa spent a lot of time helping him break out of his shell, and over the first two years of secondary school they grew to be close friends and confidants. On February 20, 1999 Elsa took Heinz out for ice cream for his birthday. On the way home (about 6:00) she was attacked by two young men. Heinz, who had been a failure in training to be a service dog (guard dog/police dog) at the age of 2-3 despite his great lineage and had failed to be the perfect pet to Franz Kaufmann's daughter resulting in his abandonment in Sweden, made the decision that he would not fail Elsa here. He tore one man off her, and bit down on the other's arm. Then he was stabbed twice by the first man and the two fled. After Heinz's death, Elsa battled with the severe trauma and emotional distress for the remainder of her final year in school and learned to cope by shutting the emotions down and going cold. After the school year ended she immediately volunteered for the Swedish Armed Forces in order to get away from the city that reminded her of Heinz and help right the injustice in the world at the same time. She excelled in the sharpshooting division where her extreme patience and attention to detail came in handy. Though she did rather poorly in hand-to-hand combat for the same reasons (not to mention the trauma of being attacked). Over the years she has worked through her trauma though the scars still remain. She still blames herself a little for putting Heinz in that situation, and it drives her to keep going and never give up (so his death to save her is not in vain). Elsa was partnered with a cat for a spotter while deployed in the Democratic Republic of the Congo in 2003. Personality: Cautious, does not trust easily. Orderly, though his order tends to appear chaotic. Brusque, when he's not in the mood for something he'll let you know. It's not that he dislikes people or animals. He just doesn't like being around them much. This means he is not at all shy about telling people where they can go stick their head if they are annoying him. It's just a good thing he doesn't get offended easily (he doesn't care what others think about him). However, he respects authority and follows orders to the letter: though he will respect Elsa's moral judgements even if they interfere with orders, having come to respect and trust her as his closest friend... if he had friends, which he doesn't really. Oh, and don't expect him to really care, even about her, they just work together (riiiiight ). He has a photographic memory, so when he puts something down he remembers exactly where it is and what position it is in. Thus his room looks like a bomb went off in it and then a tornado decided to finish the job, but he knows exactly where everything is. Un-Skills: Not as strong as a human or larger dogs (which is a difficult obstacle in a fight), favors his right leg (his left was shot in 2 separate incidences and broken from a large fall) which makes running a nuisance and is an exploitable weakness in a fight. His parents fled the violence in the Goma area and traveled up toward Butembo in early August of 1998 while his mother was in the early stages of pregnancy. When he was born they named him Jean-Claude because all the human children were Jean something or another and they wanted him to have every opportunity that may present itself, then Amar which means long-life - something ferals usually are not blessed with, and Asad after his father (it means lion). As the human war intensified the ferals began to be drawn into it. His father was recruited by the Uganda People's Defense Force in July of 1999 and brought up to Bunia (with his family) to report on Lendu militia movements in exchange for food. He was killed in August. Amar's mother tried to keep him out of the conflict, but he was taken from her at the age of 2 (2001) by a local Hutu militia and sent out to find Banyamulenge militia locations. On his first mission he was discovered by a Hema militia (allied with the Banymulenge) and told they wanted him to find out information on the Hutu militias. When he was able to tell them not only how many people he had seen, but also exact locations and amounts of munitions, they kept him and trained him so as to protect their newest asset. In May of 2003, the Union of Congolese Patriots (of which Amar was a part) had control of Bunia. Amar had been an excellent spy/scout, but as a feral he was not in high regard amongst his fellow soldiers. Any ferals left in and around the city (those who hadn't fled the violence) were employed by this faction or that faction or some other faction, and it was impossible to tell who worked for whom. As a feral, you either stayed clear of all other ferals, or participated in the intel black market trading secrets for your own faction and hoping you didn't get caught at it. Amar just got frustrated at the whole thing. The extreme brutalities the humans enacted upon each other, the way they twisted the ferals into the struggle and yet still took pot shots at them for fun, and he still wasn't even sure what all the fighting was about. Did the humans even know? In June, the French led force began arriving and Amar went to the MONUC headquarters and asked to join. Rather, he would have if they hadn't captured him as an enemy spy. Of course, he still ended up being able to help since the first thing they asked for was information, and boy did he have information. As a 4 year old cat, he was considered too young to join the force without a human handler, and no one needed a young cat tagging along with them. That is, until a certain Swedish task force arrived. Elsa, as a sharpshooter, had never clicked with anyone as a spotter. When her commanding officer asked if there was anyone who could fill the position, they handed over Amar immediately. Long story short: They did not get along well... at first. Elsa (in English): Hello, I'm Elsa. What's your name? Amar (does not know English): ...Quoi??? He used to mix up English and the Swedish words he picked up because they sound so similar to him; though he hasn't done that in a while since Elsa began correcting him. Initially Amar rebuffed all attempts from Elsa at being social, which worked out well when they were out on the job. Somehow, the silence between them as they patiently waited for a target spoke more than any words between them. Elsa's upper body gently sways like a snake as she waits. Amar's ears, whiskers and tail twitch as he listens for anything incoming. Then he quietly announces the arrival of a possible target and calculates the trajectory changes due to wind, gravity, etc. He also handles most of the close range fighting. As a team, they have learned to work with each other and anticipate how the other will respond. In one particular skirmish when they were pinned down by several people, Amar calculated the positions from his memory of where the shots came from and Elsa took that information and lined up the shots in her head, popped up, and fired while Amar provided cover fire. When Elsa was pulled out the Congo, Amar naturally came with her. They moved to America, and eventually did a tour in Afghanistan. Now they are signing up for this job, mostly because Elsa thought it was the best job on the market that it was definitely a just cause (and helping animals: Win Win Win!) When told about it, Amar shrugged and said, "If you are thinking it is good, no?" Their friendship is unique in that neither of them will say they are friends, just partners. The reality, of course, is that it's extremely complicated by their personalities, but both of them have the highest respect for the other whom they each feel does all the work (Elsa: because Amar does all the calculations and the short range stuff, and Amar: because Elsa actually does all the shooting and covering her back is the least he can do). They work like one person, and it is difficult to imagine one without the other. Except when Elsa is out being social. Then Amar takes his alone time very seriously. Last edited by Obbl on Sat Feb 16, 2013 9:32 am, edited 16 times in total. Tag&collar:does not beleive in them. Backstory: after nearly killing his last family in a moment of rage, he was mistakenly ruled insane and sent to the mental ward, where he really did go insane due to isolation. The person who fed him managed to convince every one he was sane, and adopted him. Afterwards he was trained by said person to be a stealing mchine....which is how he managed to get that contract to this job...however, he's still insane, so it's a wonder he got the job. weapons:uses sling shots with peices of granite and marbles. Also he likes fireworks so he carries them on at all times. Also uses balls filled with dirt and fire ants. personality: because of his insanity, he uses the pronoun "she" for everyone...however that may just be him messing with everyone. He's social and freindly to everyone he knows, but his only freinds are his Baba Yaga doll and the person who took him in, calling him a freind(or anything besides "Hobby") will get you covered in fire ants. Also addicted to stealing. strengths:due to his freindlyness, can get trusted by anyone, especcially ones he plans to steal from. He's also very fast and is can endure a lot. He is a master lier and theif. Will go on a VIOLENT FRENZY if Calvin is hurt...which isn't often enough. weakness:very loud, also rather weak. Has little to no sense of self preservation. Has no claws. Usually appears to be talking to his doll, who he thinks is a real person. He's also a masochist, and will purposelly get him self hurt when fighting occsionally. Hair color:see Hobbes charcter sheet. Backstory:former head of therapist at mental ward turned dentist, he's Hobbes owner, and only REAL freind, he's sadistic freak who enjoys pushing Hobbes more down the road of insanity, but really does love him. A ppears to be losing his mind himself. He wanted more money so he trained Hobby to be a theif. He hates mice, which is why he has Hobbes capture them, he then takes the mice than tortures them with his dentisty tools....which is what he nearly used on the who nearly turned Hobbes down. personality:loves to act like a supervillain, and is a sadistict freak who loves to mentally, physically, and emotionally torture anyone who Hobbes has to bring home to steal from them...yet anybody he likes will be spoiled with gift after gift, even if the orginal plan was to steal from them. strengths:very genre savvy, and knows when to back down. One of the few who can control Hobbes. Knows when it's time to grab Hobbes and RUN LIKE NO TOMMOROW! If it becomes clear Hobbes will be seriously hurt, he'll attack(and maybe even kill) Hobbes attacker then grab Hobbes and run, no matter who it is. weakness: due to the bad side of his personality, he does not make a lot of freinds. Will go into a rage induced FRENZY if anybody mentions "Calvin&Hobbes". Dirty coward. TIME TO GO TO VAL'S FANFIC!! wow... uh. kinda dark there, Otaku. I mean, I'm all for dark back stories, even him being insane can be a fun quirk. but they threatened their way into the position, the owner tortures small rodents (an early sign of being a serial killer), and they're professional thieves. those parts kinda go too far for me. that's not a fun insanity like Deadpool, that's scary insanity. Sorry, Otaku. I need strong personalities, motivated, but not insane background ones. Not given the job they are going to do. Your application is rejected. I may use this character for entirely another situation, but he's not fit for the job. Got to admit he is an interesting character. I said they could do, perhaps for an episode 10, which per tradition are darker, but not for this job. And I hope your submission does not present similar characteristics, Cerberus. Oh no nothing like that. My character is just cynical as heck. I'll send you everything I got done so far. I still need to work on my guy's human's owner personality and a few other things. If you want me to I'll edit it. the owner tortures small rodents (an early sign of being a serial killer). Gender: Female, what do you think? Appearance: Dark blue fur. White on paws and muzzle to chest. Olive green eyes. Don a purple collar with a tag resembling a libra scale. Background: Lived in a pet-friendly neighborhood where pets are more prone to acting as human such as wearing clothes. Navy and her cat brother Ritchie “Rice” treat their owners as actual parents but when they began having a baby and forgot to tell them, Navy began to think she and Rice were just “social lab rats” causing her to conclude adults are useless. This led to them becoming bully hunters and they almost take it too far. They befriended two dogs who accepted but were shocked when Navy and Rice beat up Bruno and his gang. Navy was even willing to throw ink-filled balloon at a certain dog simply because he thought some bullies' antic were funny. She state that her justice includes seeking misery in those who deserved it until the dog in a green jacket explain why her justice is flawed. Finally understanding, Navy and Rice break up with the two dogs for a while to reconcile with their owners. They got back to being friends after she became more tolerant. After the two dogs left, Navy stated her goal to attend the academy. They moved their home to River Ridge and Navy took intense training for more than a year working on her specialty. Despite not having much work experience, she was acknowledged for her skill in strategy. Personality: Navy was thought to suffer from identity crisis between knowing whether she is a parent’s child or just a pet. Her own “ego” as a dog led her to not speak up to her owners and believe she should do things on her own. This changed when a dog in a green jacket helped her open her mind. Overall, she is a very affable person but tend to be aggressive to her enemies. Regardless, she’s capable of planning under pressure when needed to be. Skill: She carries what appeared to be a sword scabbard horizontally on her back. In reality when she pulls the handle, it’s actually a parrying dagger. The other end of the scabbard is a handle of a hidden attack knife. She is proficient in dual-wielding knives and is ambidextrous but like to bluff that she is not left-handed. She carries some throwing knives, tripwire, and a mirror and is skilled at throwing small objects with great accuracy. She’s also capable of formulating strategy for her partner and teammates. -Rice is a Sphynx who always wear clothes. He’s described as more timid than Res yet fiercely protective when his friends are harmed. Her human father is a therapist, ironic in that he was unable to help his own pets. -She tends to shave her muzzle and eyebrows to give herself a more “feminine” look. People joke that she uses her knives which she doesn’t. -Unless dual-wielding, she often move on all fours, sometimes holding a knife in her mouth. -Did I mention she became second friend with a dog in green jacket before they move away? Appearance: Stood as a fit 5’8.” Warm grey eyes. Tan skin. Completely bald. Has an X-scar on his left shoulder. Background: Being the first generation of a U.S. citizen, Caleb take his easy life for granted until he reached his adolescence when he learned of his parents’ struggle in their homeland. Feeling ashamed, he resolved to join the army in hope of restoring his pride. He took part in the Second Congo War knowing fully well the consequence but he did not expect the worse when the Buwaran gets caught in the fray. At one point, he was forced to kill a leopard resident who was only defending himself not able to convince him he wasn’t an enemy. Feeling jaded from the process, Caleb quit the army to live his peaceful life in interior designing using Feng Shui. Years later, he contacted with Akuo Miyugi who share similar lifestyles where they share stories. Miyugi suggest to partner with an animal companion but Caleb isn’t sure since he doesn’t feel secure being with one in case he need to take action. Then he began hearing of the Research Lab in River Ridge and decided to try in hope of building a stable relationship. Personality: Calm and level-headed. Is good with animal but somewhat uncomfortable due to the incidence. Not easy to anger but when he does, he’s really unstoppable. Has a cynical view with life but is willing to work hard and help any idealists whenever he can. Skill: Is good with gun but prefers to use it at the last moment. Second last usually involve a tranquilizer gun. Hold some flash grenades, smoke bomb, and tripwire. Good at reading body languages and can make very convincing trust passwords. He’s very proficient at kickboxing. Last edited by RandomGeekNamedBrent on Fri Jan 18, 2013 6:03 pm, edited 1 time in total. Age: 45.5 years old in canine years. And 13 years old in human years. Marcus stands at 6' 2" (6' 6" counting ears) and weights 180 lbs and is a very well built wolf. Has strong biceps, pecks, washboard abs (6-pack) and a strong, muscular, and athletic body overall. His fur color is that if a typical Gray Wolf. His eyes are a dark green color, that are so cold at times you'd think you were staring into the eyes of death himself. His head fur is short, but sometime he has two small eagle feathers on the back of his head, tied into his head fur. He wears a high grade military bullet proof tac vest known as Dragon Skin with a thigh pouch and a thigh sidearm pouch. He has a combat knife is on the tac vest over the left side of his chest with the handle upside down for easily access. 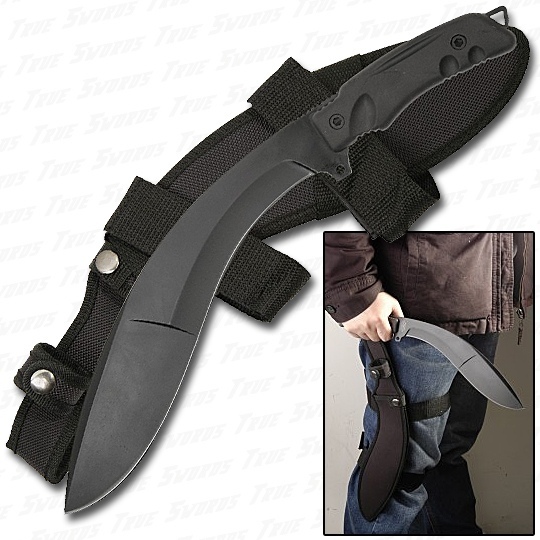 The Barrera is on his left thigh pouch with extra clips and a kukri knife on his right thigh in a thigh sheath. And the main gun he would carry would be an M249 SAW or the older M60 machine gun. 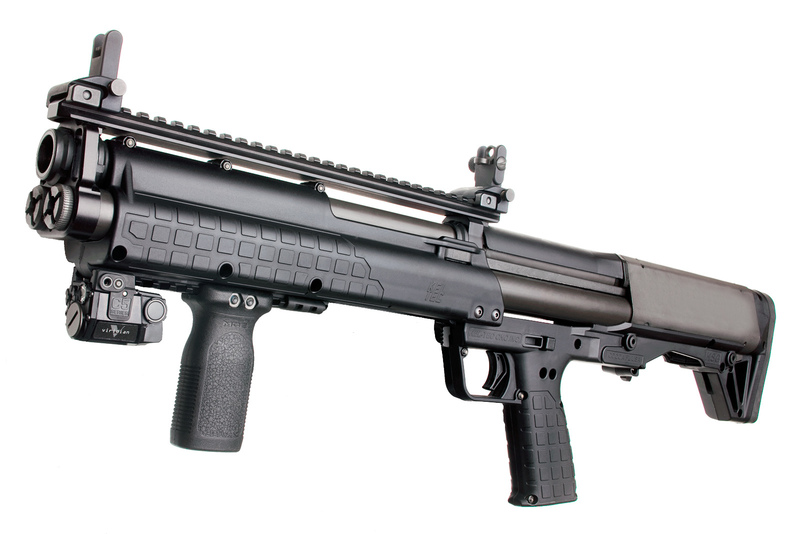 But if he can't have one of those he'll use a M16A4 (with grenade launcher attachment) or a M4A1 carbine. Marcus also has a blood red wolf paw print over the left part of his chest (left peck) and two blood red band like marking around his right bicep. Both are a permanent fur tattoos that was done when he passed the trials into adulthood and that of a Apache warrior. Around his neck he sometimes wears a bone choker necklace. But he always wears his military dog tags. Marcus also wears the patch Ranger 1st Battalion, in this order on his tac vests, because he doesn't wear sleeves. Also to signify he was a Ranger he sometimes wear if not most of the time his black beret with 1st Battalion, 75 Regiment flash/patch . Marcus also wears this patch on his vests as well, but it's described as a wolf skull instead. To represent his life as both a Ranger and PMC. He also wears the Academi (PMC company he worked for) name on his tac vests as well. Academi name/logo. And here's another version of the logo for Academi (PMC) that he wears on his tac vests. As well as wearing a patch to show that he is a Native American of the Apache; Navajo tribe on his tac vests as well. Marcus has quite a few scars over his body, a testament to his life in the military. Even with his thick fur you can see multiple scars, the most attention grabbing would be the three deep claw marks under left eye, going down his muzzle. Which he got from a military breed German Sheppard. He also has a scar over his right eye to his temple from shrapnel. Another would be the ugly scar on the front of his right shoulder from a sniper round that tore through his standard tac vest and into his shoulder. (The military didn't give him high grade tactical vest in the beginning, because he's a wolf and animal.) The bullet had mushrooming after going through his tac vest, causing the bullet wound to be much larger and damaging due to that and it fragmented. It's also much more noticeable since fur refuses to grow there. And at times leaving a phantom numbness in his arm. He also has a bullet wound in his left thigh from a pistol, but the bullet didn't go through and through, it had to be removed and fur did not regrow from the wound. He also has a few shrapnel scars on his arms (forearms) and hind legs from IEDs, grenades and RPGs. Another attention grabber is a long laceration scar on his left arm, that starts from his shoulder down his arm to his forearm, caused from an RPG that had blown up a nearby car that was right by him. But it is not a completely straight laceration scar, it's a two part scar. The one on going down his shoulder is separate from the one one his forearm, but they both go down his arm and are very noticable, since the fur never grew back. Marcus is a very cynical, dark and cold wolf who is a bit pessimistic, seeing the world for what it truly is. An unfair place that takes and never gave back. Just because he's a bit pessimistic doesn't mean he's the kind of the guy to give up or anything. He just see that evil and hardships in life outweighs the good or luxuries in life. And just sees things the way they are and tells it like it is. This didn't help that living on a reservation only made things worse for him. Seeing many of his people suffer from poverty, cancer, or slowly kill themselves with alcohol or just kill themselves. He is the very meaning of his tribal name 'Lone Wolf', prefers doing things on his own and isn't a fan of working with others, even though he had to in the military and for Academi company. That doesn't mean he doesn't work well with others. He considers his squad/team pack, but he's just not a sociable kind of guy. But he is very professional when he is on duty and doing his job. Putting personal issues aside and focusing on the task at paw. But his methods to deal with conflicts is a straight up direct approach, attacking the situation head on. And being very savage fighter and killer. Yet he can be stealthy if he has to be, he is a wolf after all and stealth is just like hunting. Another slight down side to Marcus is that he is a bit crazy and insane at times doing things that no sane man or animal would ever do! That's not to say he's mentally unstable or anything. He just prefers a direct approach to dangerous and life threatening situations. Another thing is that Marcus doesn't care for life or lives in general, except his people, his pack and those who's lives he must protect. He especially doesn't care for humans after what they've done to his people, both wolves and human Native Americans. But again, he won't let his hate get in the way of his job and duty. He also doesn't care about what others think. Marcus' family has been part of the Apache tribe for countless generations of the Navajo tribe and lives on the Navajo reservation, largest land area assigned primarily to a Native American jurisdiction within the United States. 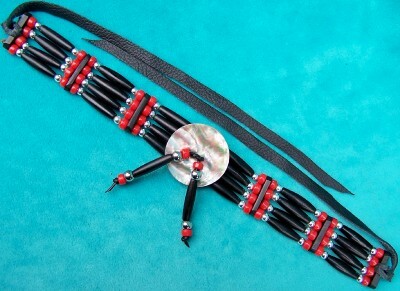 While general modern usage separates the Navajo people culturally from the Apache. Marcus' father, Maximus kept tradition strong in his family. His father who was part of the U.S. Military had taught him everything he knew about how to fight, be a soldier, warrior and the ways of the world. From the traditions of their people to how to use modern day weapons. He specialized in Close Quarters Combat or more formally known as CQC. He loved getting up close and personal when he fought specifically with a combat knife or a combat tomahawk. But he does love using guns, simply because it was so empowering to be able to take the life of another so easily, something he didn't have a problem with, and he figured if it was so easily when he hunted with his father it would be just as easily with anything else. In the end Marcus had grown up into being a very cynical and pessimistic wolf, seeing the world for what it truly was an unfair place that took and never gave back. This didn't help that living on a reservation and depending on where you lived in the reservation only made things worse, especially due to the poverty and alcoholism. Or how many homes didn't have running water, electricity, or pluming. When coal and uranium was discovered on the reservation, mining quickly took over provided significant income to the tribe in the second half of the 20th century. But their was a major down side to this, after the uranium market slowed near the end of that period, the Nation suffered considerable environmental contamination from poorly regulated mines. As of 2005, it has prohibited further uranium mining. But the damage had been done for many in the tribe suffered for this, several types of cancer occur at rates higher than the national average on the Four Corners Navajo Reservation. All of this did nothing but fueled Marcus into being a hate filled wolf that hates humans (except Native American and selected humans he likes). He could careless for human lives or their problems, he'd rather see them suffer like his people have for countless years. But in the end he wanted to help his people and to do that he needed money, so like his father and his father before him and so forth he joined the U.S. Military when he was 4 years old (14 in canine years) and was given a handler or 'owner' Damien 'Runs with Wolves' Forge. Who was solely there to keep an eye on him. Something he hated, but he needed Damien so he could be in the military, after all no one was going to let a Gray Wolf be in the military or do anything without an owner. Yet Marcus never liked him or trusted him, even though they were from the same tribe. Even his relationship with his family is strained, especially after his father; Maximus died after he was KIA while in the line of duty as a canine police officer. Since he wasn't fit enough age wise to stay in the military years prior, so he joined the local police. Marcus joined the Army, simply because of the slightly better pay, all of which he sent back home, half to his family and the other half to the Chief of the Navajo tribe. He could have joined the Air Force or Navy, but what could he really do there? He was born to be warrior, a solider and his pride and honor would not settle for any less. So after spending 4 years in the Army (A total of 8 human years is how old he was then. Making him 28 in canine years at the time.) as well as being an Army Ranger for all four years in the 1st Battalion, 75th Ranger Regiment ( also known as "75th Ranger Regiment, 1st Battalion", 1st Battalion, 75th Ranger Infantry"). And during that time reaching the rank of Sergeant. During those years he learned many more useful thing and he had been right, it was just as easily to take the life of a human as it was to take the life of a deer, or other animals. But it was his brutality that had raised a few questions and concerns with the higher up in his career while he was in the middle east. Leaving quite a few pages of his files filled with black ink. But he had left the military service with an honorable discharge after he had received a reply from one of the PMC (private military company (PMC), private military firm (PMF) or private military or security company) he had applied to. He left because the pay and benefits were simply not enough for his family and people and he had sent a few application to a few PMC. So when Academi previously known as Xe Services LLC, Blackwater USA and Blackwater Worldwide had contacted him about joining he had jumped at the chance. Simply because the pay was far better then ever, ranging from $600 to $700 a day, some can earn $1,000 a day. It was no secret that Marcus loved doing what he did and that was fighting and wagging war. And working for a company like Academi fulfilled his desire and love for fighting. If he could have he would have done some 'side' work, in other words mercenary work that pays even more, but Damien would never allow that. He could never get way from him for long and if he did Damien would simply find him. Marcus worked for Academi for 5 years (A total of 13 human years, making him 45.5 in canine years. Which is his current age.) till his handler Damien convinced him to move to Terrace High after he had received a letter from Mr. Gottschalk about a job opening at a Fusion Reactor he was building and that he needed good security and that there was a job opening and the letter inquired if they were interested in taking it. It took a bit of convincing to get Marcus to leave Academi, especially concerning the lack of action he would see, but the promise of making more money was to good to pass up. Besides considering all the @#%* that goes wrong in Terrace High and Babylon Gardens it wasn't likely to be boring. Marcus is an expert in CQC and is very skilled with the use of combat knives, combat tomahawks and guns. He really enjoys using guns and prefers to be right up in the action fighting then staying back as support. He is a descent tracker with his keen eyes site, but his sense of smell is not as good anymore after years of the smell of gun powder, fires, explosives and etc dulling his sense of smell lower then it should be for an wolf. But he is still able to track a target or targets and being able to tell which way they went and how many there are. Another down side is that his hearing is not as good as it used to be due to years of weapon fire and explosives from his military and PMC career, which has decreased his sense of hearing. But that doesn't mean his sense of hearing is bad, just not as good as wolf standards go. Marcus' survivalist skills are top notch, being able to survive in the wilderness of any environment. Being able to make primitive tools and weapons to survive. Due to the training and teachings he received from his father, his peoples knowledge (Apathe), natural instincts, military training, and PMC training improving his skills greatly. And he is considered one of the best survivalists. He also speaks in his native peoples language (Athapaskan) and since Navajo is notable for being the indigenous language of the United States with the largest number of native speakers makes him very fluent. The key languages he speaks are English, Athapaskan (Apache language) and a decent amount of Arabic. And a bit of Persian, Turkish, Hebrew Berber, and Kurdish. But not a lot, only a few key words, phrased and sentences. • Working on his own. • Bladed weapons, specifically knives tomahawks and axes. • Guns. He loves guns, especially heavy weapons. Like M60 machine gun, M249 SAW, M-32 Grenade Launcher, M4A1 carbine, M16 and variations, especially the M16A4. Colt 9mm SMG, MP5 and others. But he loves using heavy weapons! • Close Quarters Combat or more formally known as CQC. • Working out, exercising and staying fit. • Parkour and Free-running (Great way to exercise and workout). • Those with less experience then him. • Those with money and power and waste it. • Americans and U.S. Government because they made his people suffer and they still are. • Government Spooks (secret agent, spy or spies). He especially hates them. Marcus isn't a very social guy, only a few really know him very well. But he does have a few comrades from the military and Academi (the PMC firm). His preferred way of dealing with others is to just be straight forward and to the point. Not caring if he hurts the feelings of others or anything. He always carries weapons on him. Specifically a rifle, machine gun, SMG, kukri knife, a combat knife or knives, and a Barrera. All having a spot on his person. The combat knife is on his military tac vest (Dragon Skin) over the left side of his chest with the handle upside down for easy access. The Barrera is on his left thigh pouch with extra clips and the kukri knife is on his right thigh in a thigh sheath. And the main gun he would carry would be an M249 SAW or the older M60 machine gun. But if he can't have one of those he'll use a M16A4 or a M4A1 carbine. He would carry a combat tomahawk, but it's to cumbersome to carry at times, but he does love using it. Marcus has racked up a large kill count; having taken many lives. Both animal and human lives. Marcus believes in the Spirits and the afterlife, but he will not let them dictate who he is and what he does. He knows what he's done in his life have been monstrous things and he simply doesn't care. He likes who he is and no one will change that. He is also bisexual, he likes the qualities of both females and males. He also doesn't care about the supposed taboo between canines and felines, but he isn't really interested in regular pets, but real animals. Like other wolves, mountain lions and etc. As well as a few more interesting or exotic animals like foxes and etc. But he does sometimes find regular pets attractive. But in the end he ISN'T interested in love, commitment or anything along those lines in the slightest. Marcus also has a high tolerance to pain, rage being a heck of an anesthetic and it would take quite a lot to take him down. He has been shot a quite a few other times, but his dragon skin tac vest took the shots and they didn't penetrate his body armor. He enjoys working-out and his workout regiment is very hard and physically demanding to others, but it's not to him. Strength: 10 "Power is all that matters." Endurance: 8 "I'll out last you." Charisma: 2 "Talk is cheap and for the weak." Intelligence: 6 "I know the things that matter, like fighting and warfare." Agility: 7 "Speed is ascetical if you want to survive." Luck: 2 "Who needs luck when you have skill. Besides...we make our own luck." Age: Born on June 13, 1972. 40 Years old. Hair: Short black hair that is a military hair style. Damien is a very firm, but fair man. Who keeps his emotions in check and keeping himself very neutral, expressionless and unemotional at times. But that doesn't mean he is emotionless. He just prides himself on his strong work ethics who define who he is. For him it is hard act like a drill sergeant or a soldier. For years of military indoctrination have shaped him into a someone who can't stop being and acting like a soldier. Damien is able to keep his angry and emotions in check, but if annoyed enough he will blow up and act like a mad drill sergeant. He likes to help others with their issues and problems, but he doesn't want to solve their problems, because then they'll never learn from it. He also has a habit of talking in riddles and not being perfectly clear with what he's saying. Damien isn't the kind of guy that likes you right off the back, you have to earn his trust and respect. But he has no problem working with others, but isn't a fan of those who don't have the right experience to lead. Because he knows what can happen and what will happen if someone doesn't have experience under their belt. Damien is a Native American, an Apache to be more specific of the Navajo tribe. He as been in the U.S. Army since he was 18 years old, making a career for himself in the military, both in combat and as a drill instructor with the rank of Master Sergeant. Doing what he can to help his people, but there is only so much one can do. So he helped train other Native Americans from both his tribe and others in the Army, including 'pets' who wanted to serve for what reason of their own. But Damien was given specific instructions to be Marcus' 'owner' and handler. He had been told all about Marcus and Damien he thought this would be easily to whip Marcus into a better and more social wolf. But every attempt was a failure, nothing he did worked, Marcus never changed if anything he got worse. Marcus doesn't trust or like him and hardly does anything he tells him to do. Especially if he doesn't like it. But he was able to keep him from doing stupid and foolish things. They keep their relationship strictly professional, but Marcus has grown a bit on Damien, but it's only one sided. But when Damien a received a letter from Mr. Gottschalk, one of the most wealthy and powerful men in the world about a job opening at a Fusion Reactor he was building gave Damien the idea of getting Marcus out of the life of a solider. Yet he had to word everything right to get Marcus to agree, but the pay was to good for the Gray Wolf to pass up. So they moved to Terrace High as part of the security personnel for the Fusion Reactor facility. Though Damien knew this was a double edged sword. Because of all the things that have happened at Terrace High and Babylon Gardens, he knew it wouldn't be very quite and dull as he hoped. • Train and staying fit. • Teaching and training others. • Helping others that need help. • Keeping his skills sharp. • Those who have no honor or pride. • Those that give up and quit trying. Damien is a great solider, but an even better drill sergeant and trainer. He knows how to whip people and animals into shape and break them of their bad habits...well except Marcus. He is an excellent shot with guns and is very skilled in CQC, but not nearly as good as Marcus, but he is a better tracker then Marcus at times though. And his stealth is very good and is as silent as the night. Damien is comfortable in a support role, but he likes teaching far more. He is very skilled with living off the land and is a natural survivalist. Being able to start fire with primitive tools as well as surviving with primitive tools and more. But he is no where as good as Marcus. He also speaks in his native peoples language, and since Navajo is notable for being the indigenous language of the United States with the largest number of native speakers makes him very fluent. The key languages he speaks are English, Athapaskan (Apache language) and a great amount of Arabic. And a bit of Spanish, Persian, Turkish, Hebrew, Berber, and Kurdish. Last edited by Cerberusx on Sun Feb 17, 2013 3:50 am, edited 46 times in total. Which leaves 1 slot yet to be claimed. I didn't forget. I just have other things to do. I'll try and get on it tonight. I figure as much, but I wanted the SPECIAL score. though there is a selfish reason. I’ll throw this out here seeing as how I have old characters to spare. Here’s one modified from an older RPG. BIG. An imposingly large and muscular dog, his body shape has a somewhat wolfish appearance, though overall he looks to be a giant and more heavily built type of German Shepherd. The mid-length fur on most of his body and head is jet black, but has dark brown fur covering his limbs, tail, the front half of his torso, and the lower portion of his muzzle. His eyes are a dark orange color, and all four his front canines are metallic, and two visibly protrude under his chops from his upper jaw. Known for having an abrasive personality, Dasco tends to speak with heavy sarcasm, and can be quite condescending towards both other animals and humans who aren’t assigned either to his command or designated as his superiors. To an extent he is also quite arrogant, and quick to judge others upon first impressions. Despite this, Dasco is actually a relatively easy dog to work with, and to those who he views as friends or associates he reserves an unwaveringly loyalty and dedication to. He’s typically friendly (albeit in a very rough/sarcastic fashion), outgoing, and has a somewhat twisted sense of humor which he’ll brazenly implement to alleviate boredom or acquaint himself to newcomers. Dasco is high-spirited, motivated, dedicated, and indoctrinated with both a multitude of professional skills and a caustic method to friendliness. A combination of traits that have earned him his rank and privileged positions among some of the most elite security forces in the US. 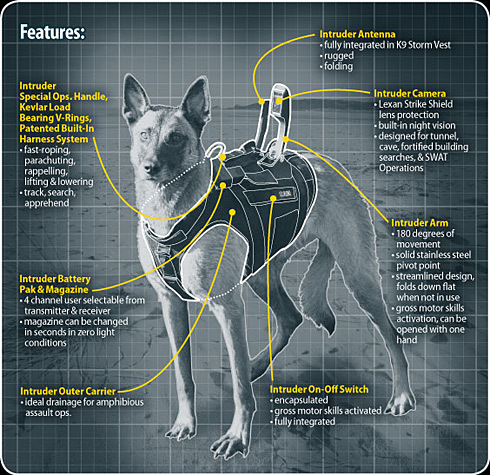 Purchased by the US department of defense from a privately funded kennel and research program that specialized in the creation of new and refined types of service K9s. As a breed, the litter he was picked from was specifically made for military employment, ideal for work as K9 sentries. While as of yet unnamed, the classified breed has met the desire for a very large and powerful dog which has retained not only its loyalty and trainability, but also a deeply rooted fight drive that can be easily honed to military standards. Trained and graduated from Lackland Air Force base in the US, Dasco’s first assignments were to guard especially valuable personnel, resources, and property belonging to the US armed forces and government. Most of his early work was alongside US Marines in dangerous combat zones in the middle-east, though later employment stationed him at highly secretive military installations within the US, most notably the Area 51 and ‘non-existent’ testing facility S-4, aka “Dreamland”. Due to the nature of the locations and jobs he was assigned to, Dasco has received additional training and security clearances allowing him to be issued firearms to his own possession. His credentials easily qualify him for nearly any type of high-profile security work. Shortly after being assigned to S-4’s security team, Dasco and his handler had a run-in with an unknown individual trespassing on base premises. After escaping being gunned down by security, Dasco attempted to apprehend the trespasser himself, only to be painfully injured upon direct confrontation. The intruder somehow viciously ripped out his front canines, and left Dasco in a dazed state. The incident was quickly swept under the carpet and is still under discreet investigating after any further attempts to locate the intruder failed. Dasco was debriefed and released after it was verified he was unable to identify the perpetrator under the circumstances of the incident. 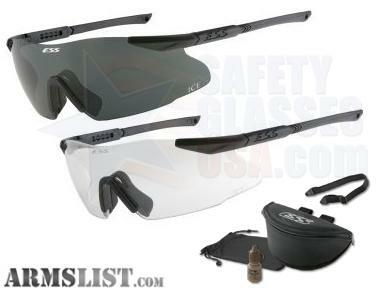 - Compact, lightweight weapons and gear are a must. Dasco carries a relatively small load of equipment to allow easy and quick movement when needed. 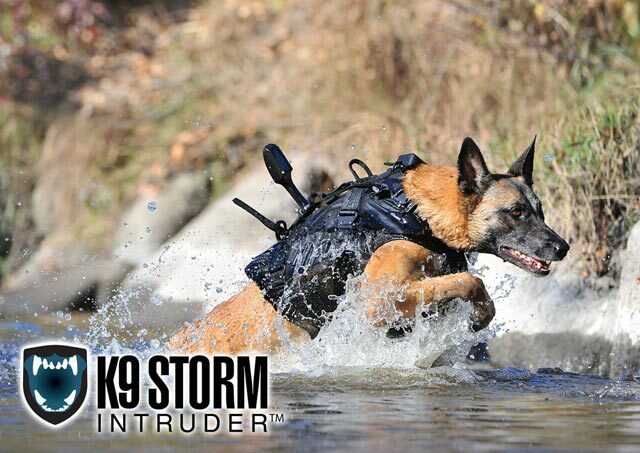 -Like all K9s trained by the department of defense, Dasco is proficient in Schutzhund and K-MAADS as a means of apprehending and combating threats at close range. He likes to hone his skills and practice, practice, practice with others whenever possible. -His titanium fangs give him a significant edge over suspects or threats at close range. They can easily penetrate and tear away thick clothing or armor, and cut far deeper than the average canine’s teeth. -Dasco loves music, violent music, especially various types of metal. -Additionally he also has no qualms occasionally wasting his spare time on violent video games. A very tall, man standing at nearly 6’3. He’s muscular, but not very heavily built, giving him a lanky appearance, but his height alone can make him quite imposing. Jacks carries himself in a very professional manner, maintaining an immaculate appearance, from his haircut down to his boots. His eyes are blue, and his hair is a light shade of brown. A United States Marine. Jacks is disciplined, orderly, and follows everything to the letter. He speaks in a surprisingly low and direct tone, a natural at imposing his authority and leadership, over both people and animals. No-nonsense and with a bone-dry sense of humor, his patience doesn’t stretch very far for those who don’t take him or their work seriously. He’s always calm and respectful, and judges others on their character and dedication. Not easily swayed by acts of bravado. -Jacks can perfectly recite any rule, regulation, or order even remotely related to his line of work. As a K9 handler, he is also well-versed in all the specifics and histories of the breeds he’s worked with, including Dasco’s recent and partially classified new breed. -Despite being Dasco’s handler, Dasco actually holds even more security clearances than he does. However, for their current job, this is not an issue. Last edited by D-Singer on Sat Feb 16, 2013 7:02 pm, edited 8 times in total.